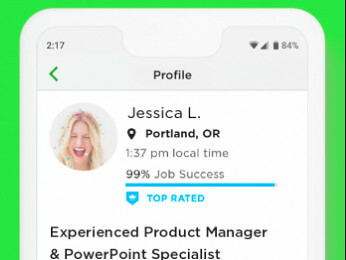 Emma: Upwork has no rules or restrictions on your use of Dropbox. You are welcome to use Dropbox as a way of sharing files with a client. But Upwork does not have integrated Dropbox functionality, if that's what you're asking. You can share files through the Upwork messaging center, but this is not the same as Dropbox. If you want to use Dropbox, you and your client can set that up on your own. If by future assignments they mean information/file sharing related to the work you're doing, than that's fine. 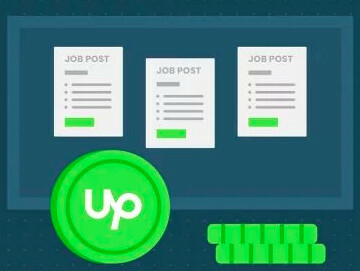 Please note that you need to have an active contract on Upwork, your client needs to set up an Hourly contract or Milestones to cover the tasks you're working on, and all the payments need to be processed through Upwork. 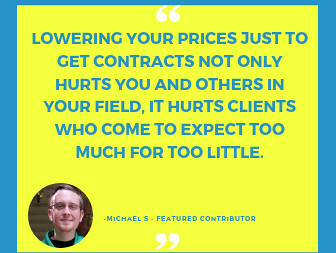 If this is a Fixed-Price contract, make sure not to start working on new tasks before the funds for the Milestone covering the work you already completed and delivered are released to you, and the next Milestone is funded. My new client has requested my email address to share a dropbox folder for our workflow. He has said we will keep all the payment and scheduling details running through upwork but I'd like some advice on this as I think he needs to show an overview of all my tasks on here for upwork to check to ensure payment protection? As I'm still new I'm unclear about this. Any feedback will be greatly appreciated. Using Dropbox as your client suggests if fine. Feel free to provide a legitimate client, with whom you have a contract listed on your "My Jobs" page, with your email address. re: "I think he needs to show an overview of all my tasks on here for upwork to check to ensure payment protection"
I don't know about that. You may be over-complicating things in your mind. If you properly log your time using the Upwork desktop time-tracking application, then you will be paid automatically. How did you determine that it is an hourly contract? If it is a fixed rate one using the app means absolutely zilch - zero - nada - nothing at all. You should be fine. I've used Dropbox with UpWork clients before without any problems. As long as it sounds like a legitimate job and a legitimate client, I think most people are fine. We hear about the crazy things that happen here on the forums but most jobs I think are completed without incident. Thank you for your post Briana. He seems like a legitimate client and I'm using upwork's time tracking facility to record my hours so I should be fine It's just you hear about some of the scams that go on with online jobs. I use Dropbox all of the time with clients both Upwork and private. Mostly because the files that I deal with are too large for Upwork or general email. I pay for the 1TB Dropbox account and create shared folders for the clients when needed to facilitate transfering the files. Vince makes a good point. Entry level freelancers may be asked by clients to use Dropbox or other methods for sharing files more capable than email and Upwork messaging. But more advanced freelancers (who command higher rates) already have their own Dropbox accounts or their own servers. As a high-end contractor, I provide FTP server space, database servers, web servers, development servers, etc. for my clients. Most of the work I do on behalf of clients is actually done on my own servers. It is actually easier in the long run to use my own resources that are under my control. Some clients eventually move the work I develop onto their own servers, and some leave it permanently housed on mine.